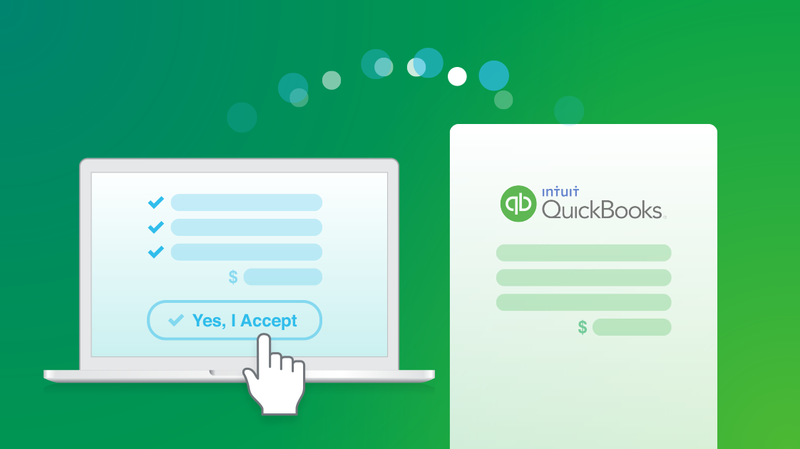 To support customers of the world’s largest accounting system, we’re really pleased to release our latest integration with QuickBooks Online. We put a lot of thought into our integrations to ensure that they’re well designed and the two systems work together seamlessly. Naturally our QuickBooks integration followed our detailed process. Now from within Quotient you can look up—and use in real time—your QuickBooks customers, products and services. So there’s no more double-entry or bouncing between systems to copy and paste everything together. The magic continues once your Quotient quote is accepted, it automagically appears as an invoice in QuickBooks. This includes contact and quote info, such as selected items, quantities, prices, taxes and the original quote number for quick reference. Quotient is really powerful because we focus purely on quotes. We’re all about giving you a super-professional edge to engage your customers and make getting new business easy. legally bind your quote once your customer accepts it online, so there’s no more chasing signatures and paperwork. When you integrate Quotient with QuickBooks, from start to finish you have an entire online system to start, access and manage your money flow from anywhere in the world. For a quick overview on how the two work together, check out our video. Go to Integrations (under Settings). Sign in to Intuit (QuickBooks), select which company you’d like Quotient to access and hit ‘Authorize’. You’ll be redirected back to Quotient. Now you'll be prompted to enable invoices, contacts and products/services. The choice is yours. Read our detailed integration instructions here. Over 1m paying customers choose QuickBooks Online for their business and accounting needs. It’s secure, always on, available from anywhere with an Internet connection and it scales with your business. No matter where you live, you can personalise your tax rates and more with QuickBooks. Learn more about QuickBooks, or start a free trial on their website.